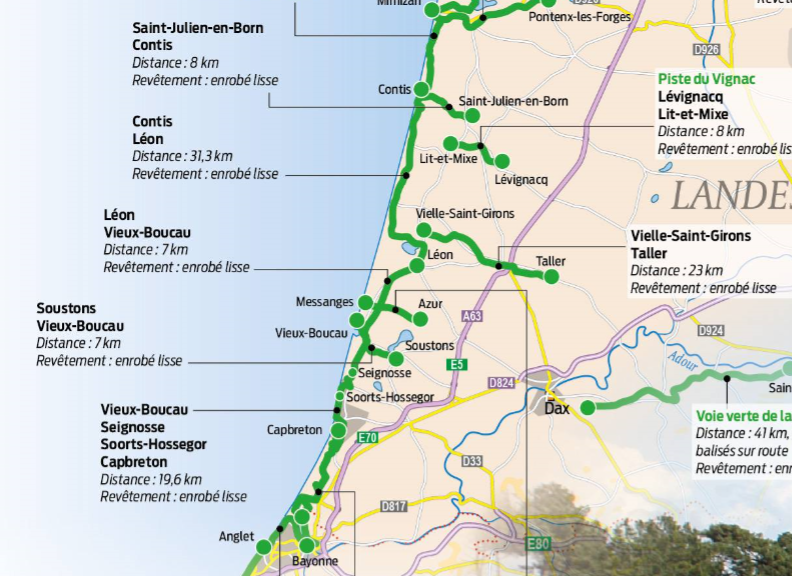 Cycling and the paths through the forest of Landes is a great way to get around and get healthy. The council have created brand new tarmac paths through all the forest and connects beachside towns. Heres a plan of the paths near us , that run all the way down to Bayonne.